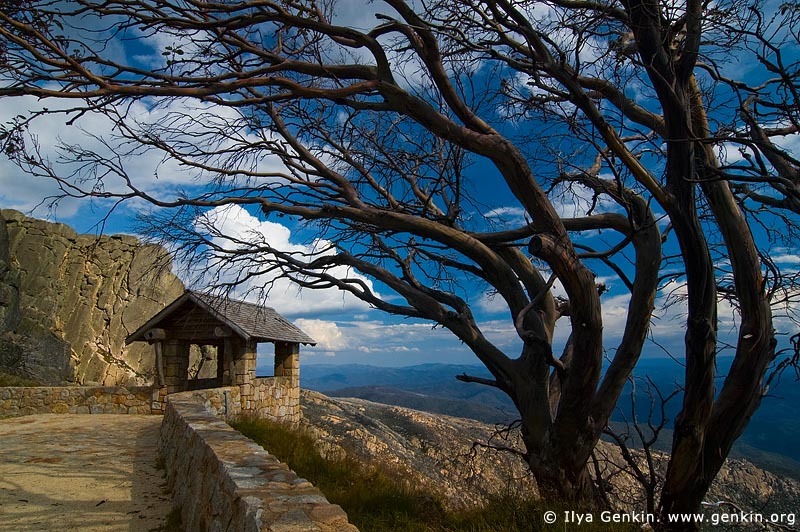 Stock photo of the old rock built hut nicely surrounded by a curved dry tree at the starting point of the Horn mountain summit walking in Mount Buffalo National Park, Victoria Hight Country, Australia. This image id MOUNT-BUFFALO-VIC-0007 of Old Stone Hut and View over Australian Alps from The Horn, is copyrighted © by Ilya Genkin. This is not a public domain image.